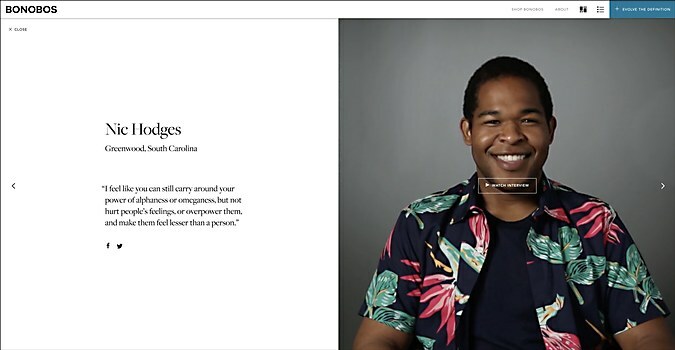 Men’s clothing brand Bonobos’s project, #EvolveTheDefinition, starts a conversation about what masculinity means. Background: Created with help from Observatory, #EvolveTheDefinition is a project initiated by men’s clothing brand Bonobos that uses the voices of real people to start a conversation around the outdated definition of “masculine,” its dangers and how we can expand it to be more inclusive. The site showcases 172 interviews with men about their definitions of masculinity. Users can also add a new synonym to the definition of masculine and share it via their social media platforms. Highlights: A seamless and beautiful grid that allows users to interact with 172 interviews. It truly feels like an endless stream of unique and powerful faces. It also does a great job of demonstrating Bonobos’ commitment to diversity. 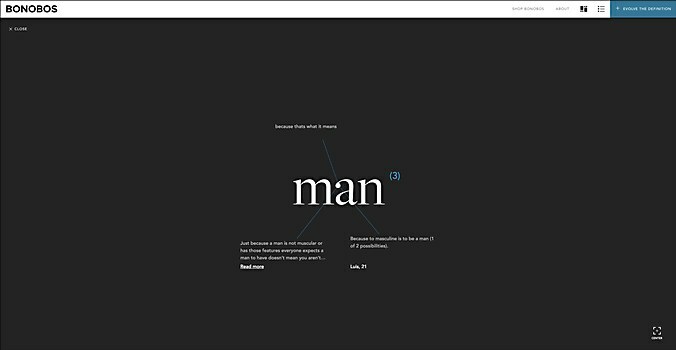 In addition, there’s a definition engine that features the most frequently submitted synonyms that embody the evolving definition of masculinity. In real time, the definition is reshaped by submissions from users. Challenges: It looks simple on the surface, but the infinite grid was difficult to build. We ended up coming up with a handful of smaller grid layouts that we stitched together in real time to create a larger grid layout. Favorite details: Even though the site has only been up for a week, we’ve seen a lot of traffic to the site, namely countless synonym and definition submissions. The result has been pretty awe-inspiring. 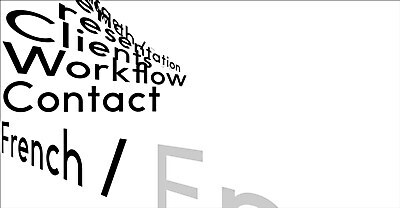 It’s exciting any time we have a project that allows real user contributions. You never know what you’re going to get. 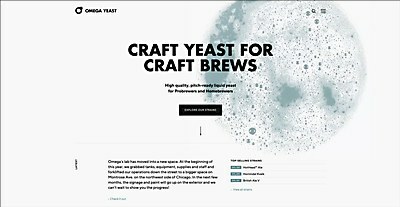 Bubbling yeast graphics mesh with clean typography in Knoed Creative and Static Interactive’s site for Omega Yeast. The Decathlon United site brings forward the core values of the sporting goods brand through incredible stories from around the world. 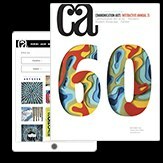 Parisian communication agency Vertical’s name and unique, non-linear approach is reflected in its new site designed by Bureau Cool.